Few leaves of lettuce, coarsely shredded. 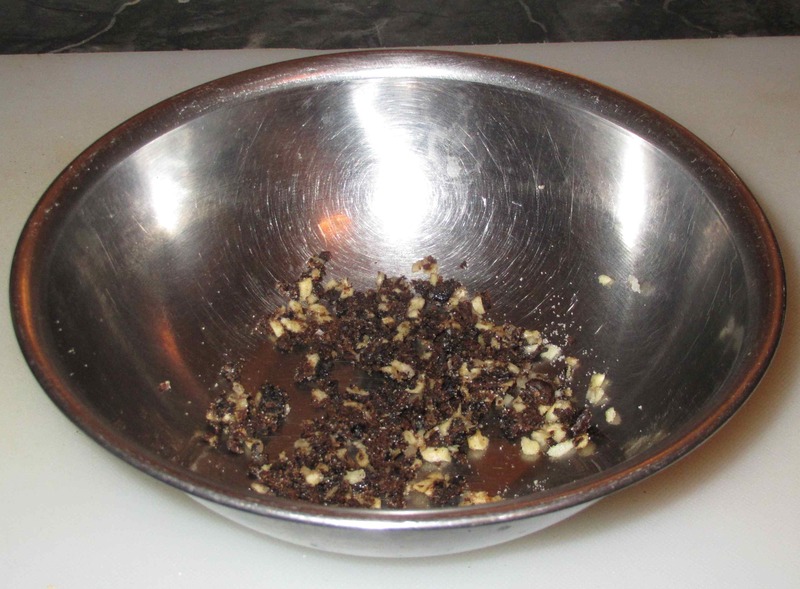 Mash the garlic into the sugar with the back of the fork and then add the salted black beans. Continue mashing until the beans are mostly all crushed but still have chunks visible here and there. 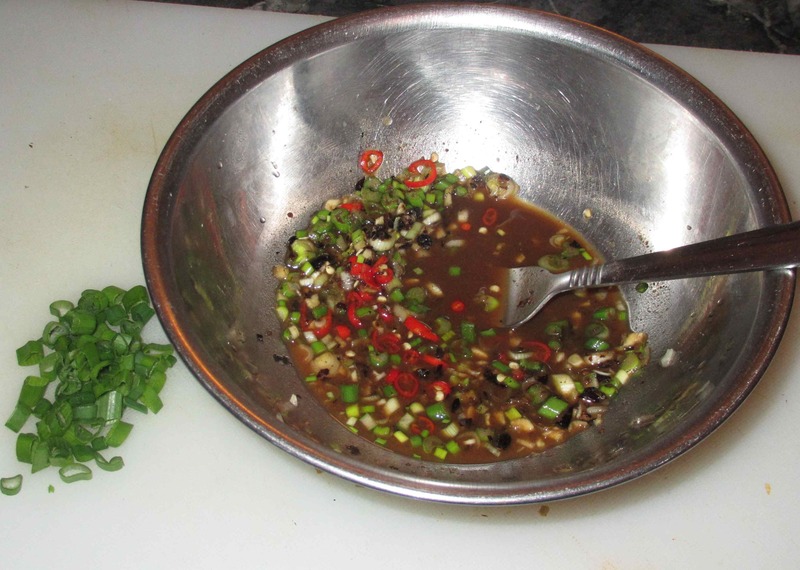 Now add the chili and the rice wine along with the white and light green parts of the scallion. Stir well and set aside to let the flavors meld for 30 minutes or so. Reserve the remainder of the scallion rings for garnish. 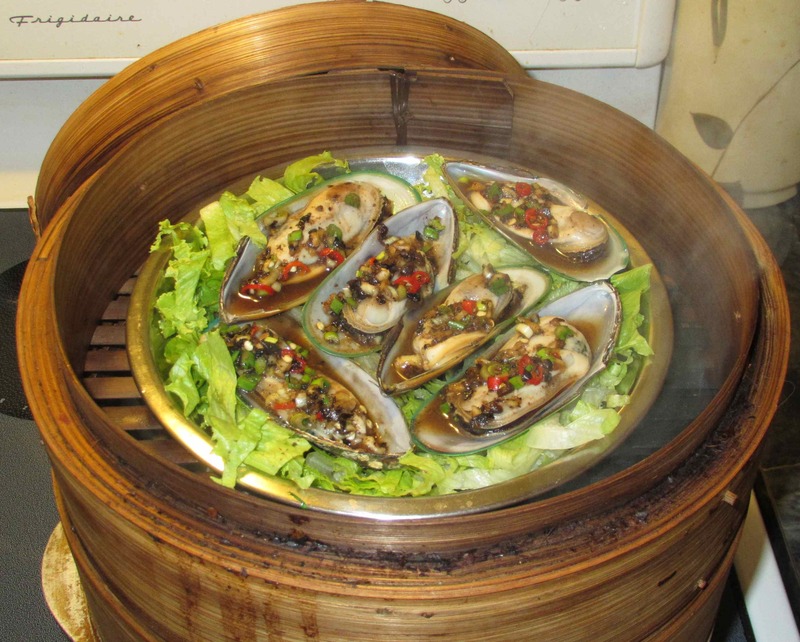 Line appropriate steamer dishes with some of the lettuce leaves and then arrange the mussels on top. The leaves will add stability for the shells and also add a nice touch of color. 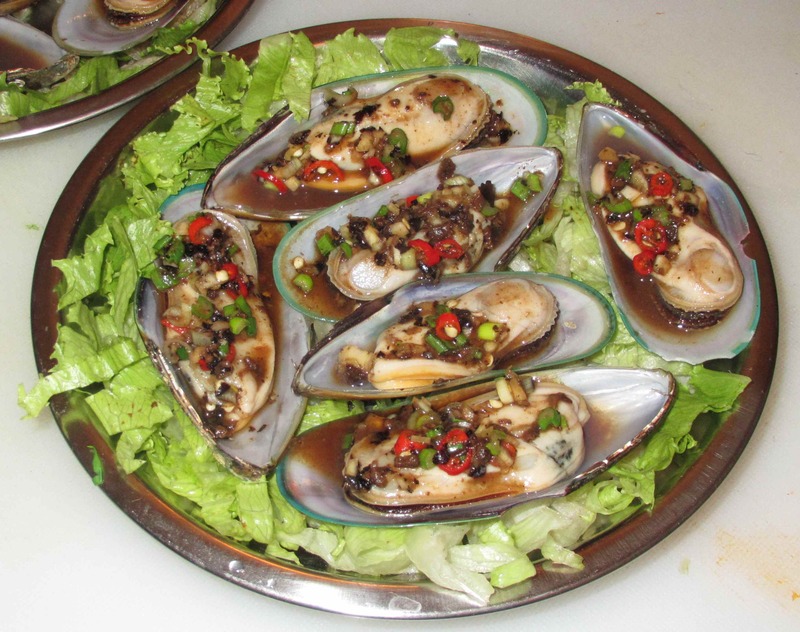 Spoon the black bean mixture evenly over the mussels. Steam everything for 5 to 6 minutes and then serve. 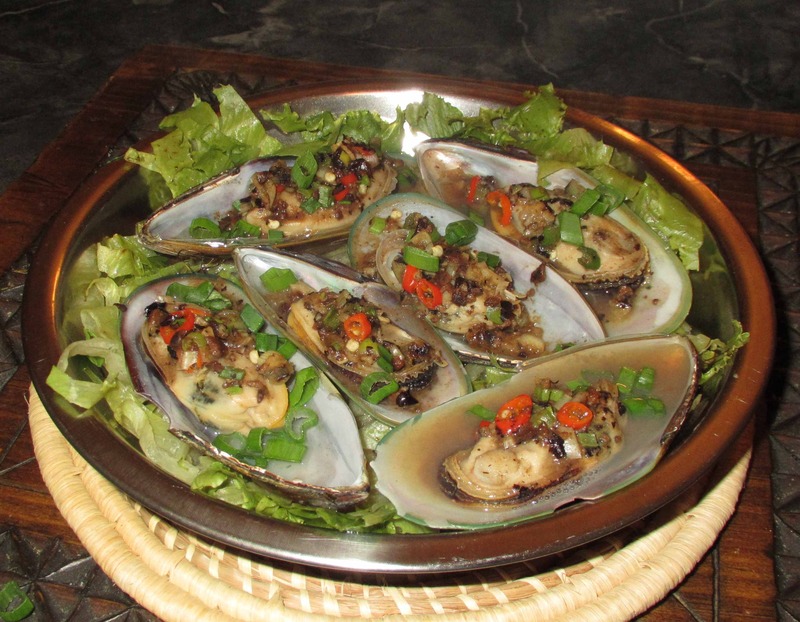 Kiwi clams! Oh dear. Why do they try to change names. 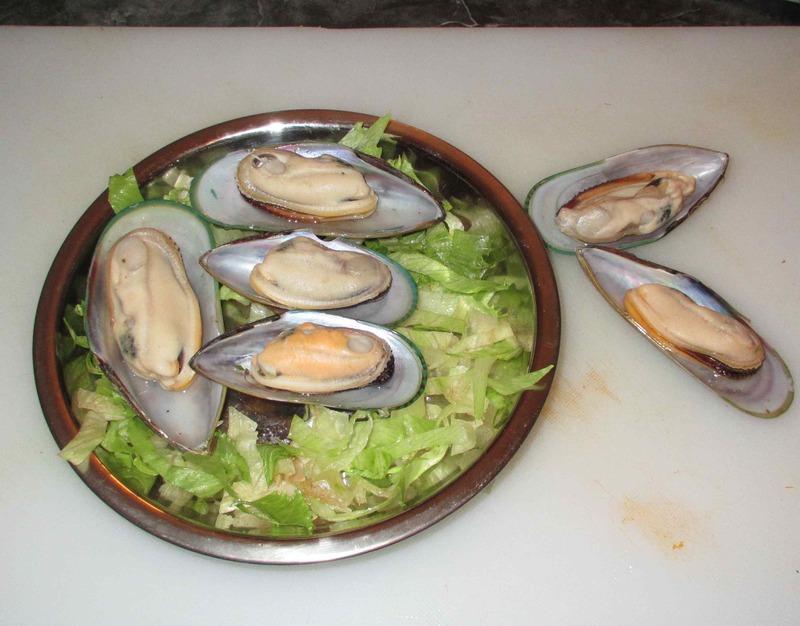 😦 Green-lipped mussels. Ah … so *that’s* what they are called! They looked very attractive too! Congrats for a good outcome! You even got a Chinese steamer! Those green-lipped NZ variety are about the best I have ever had! Delighted to see you using the salted black beans. They bring the flavour to a new level. Thank you….. I love the beans with ribs. I’ve seen them used with fish and I haven’t tried it yet but it sounds good. The photos make this look just about perfect. Great photography! And a healthy and nourishing recipe! It both looks and sounds really delicious! That looks fantastic and better than any restaurant. Bravo, John! You kidding me? Looked beautiful!